Dreadnought fans craving an easy-playing option are bound to love the soft feel of the 24-7/8-inch-scale-length neck featured on the cutaway 310ce. Strummers and flatpickers will love the clear projection and top-end brightness of the solid sapele/Sitka spruce tonewood pairing, while the Dreadnought body’s wide waist produces a strong low end and focused midrange. Aesthetic details include black binding, a black pickguard, Italian acrylic small diamond fretboard inlays, and satin-finish back and sides with a gloss top. The guitar comes performance-ready with Taylor’s Expression System 2 pickup, and ships in a Taylor deluxe hardshell case. Walnut, that's lovely tree, don't you think? It produces wonderful food, provides shade, and you can make fantastic guitars with them. We have a brand new 524CE LTD, Limited Edition model. There's not many of these and they are so good. It is a cutaway model, all walnut, Grand Auditorium size, mother of pearl fretboard inlays, and full gloss finish. It has the Expression System 2 pickup system. Sounds beautiful. It reminds me in some ways of an all mahogany guitar. It's unique in every way. It's an absolute stunner, a gorgeous instrument. Great playing, great sounding, this is a real winner. Comes with hard case. Hawaiian koa’s captivating beauty is matched by a tone that blossoms over time, especially in the midrange. Its voice is bright and focused, with warm overtones that slowly emerge, adding sweetness and depth. Premium all-wood appointments, led by the Island Vine fretboard inlay, celebrate the wood’s natural appeal. Designed in collaboration with guitarist extraordinaire John Jorgenson. Since John’s mastery isn’t confined to a single musical genre, his main concern was sonic flexibility. 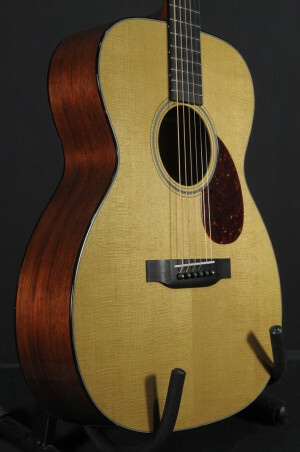 The JJ325SRC dreadnought features a solid spruce top with bubinga back and sides. The guitar is voiced to cover a broad tonal spectrum with depth for power and a shimmering upper midrange for articulation and clarity and features a gloss red finish, JJ inlay at the 12th fret and gold tuners with ivory buttons on the keys. Chris Ballentine is a local Memphis luthier with over 12 years experience designing and building guitars. Having always been an artist, guitar building is yet another outlet for his creative expansion. His technical and engineering background, along with a strong desire to express his creativity and love for the guitar, inspired him to enter the world of luthierie and the art of combining musical tone with asthetic beauty. This gorgeous sounding Sitka/Rosewood creation is as beautiful to play and hear, as it is to look at. Super limited edition Taylor 514ce cutaway Grand Auditorium featuring walnut back and sides, torrefied Sitka spruce top, Performance bracing with relief rout, mother-of-pearl Century fretboard inlays, and other standard 500 Series appointments: gloss-finish body, faux tortoise binding, single-ring ivoroid/faux tortoise rosette, Taylor nickel tuners, and Expression System 2 electronics. Includes a Limited Edition label and ships in a Taylor deluxe hardshell case. The Bourgeois Large Soundhole D incorporates many of the features that bluegrass flatpickers search for in those "Holy Grail" pre-war dreadnoughts. The enlarged soundhole, special rosette, custom pickguard and blank, bound 21-fret fingerboard capture the proper authentic aura for this specialty model. Dana has also incorporated the hallmarks of his own current designs, including Aged Tone torrefied top, braces and Aged Tone finish. The result is a more of a tribute than a replica, and Bourgeois feels that it makes the perfect bluegrass guitar. Many have remarked that these Large Soundhole Ds are louder and slightly more open than their standard dreadnoughts, while still maintaining their signature balance and clarity. These models have a strikingly "vintage" sound that is sure to thrill many a flatpicker dreaming of owning their own pre-war "bone".